This is a story about the fate of two villages infamous for their relentless war against each other. Now, the leader of each village gathers and prepares their best Ninjas to invade the enemy village. Who will emerge victorious from this final battle? © Copyright 2012-2016. 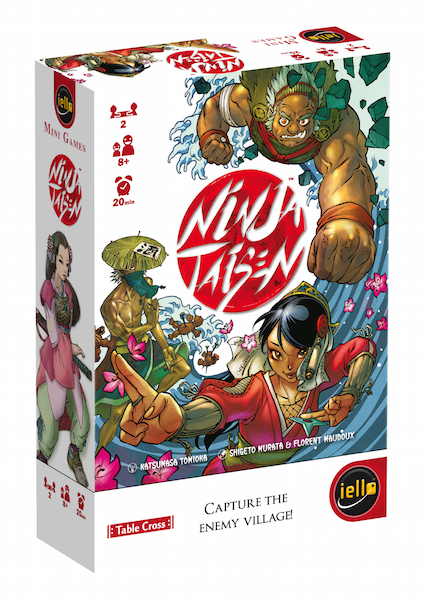 IELLO USA LLC. IELLO and the IELLO logo are trade mark of IELLO USA LLC, 5550 Painted Mirage Rd, Suite 320, Las Vegas, NV 89149.